A couple years ago, I got rid of the majority of the kid’s toys and we’ve never regretted it. 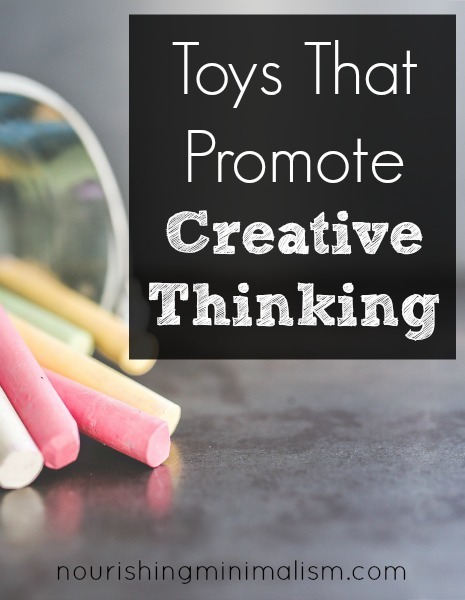 Since then, in order to limit the chaos that toys tend to create, I’ve been able to limit our collection to toys that really promote creative thinking. The less an object does, the more versatile it is for the creative mind. When a toy says phrases, that limits the amount of sounds a child will use when playing with it. If the toy does not say anything, then all of a sudden the options are as unlimited as a child’s imagination. When you have plastic food in the toy kitchen, the child is limited to only serve from those options, if there is no plastic food, then the child will make whatever food comes to mind- they only have to imagine it. If they have a character doll, they will tend to play that it is that character. If they have a general doll, that doll can be anything the child imagines. This list isn’t exhaustive, there are many other toys that can benefit children, but to actually get those benefits, you have to limit the amount of items that are in your home. When there is a smaller amount of items, it is easier to choose what to play with, there is more room to play, it is easier to clean up afterwards and it isn’t overwhelming to the senses. As you evaluate the toys in your own home, remember to keep a manageable amount. Aside from the building sets, 4-6 items is all that is needed and is much more manageable for a child. Dress Up Clothes. I recommend getting general dress up clothes, rather than specific character; a princess dress over an Elsa dress, or black robe (which may be a Jedi, a ninja, a pirate or a vampire) over a specific superhero. Play Silks. Play silks are perfect for creative play- they’ve been superhero capes, tents, water and land. They’ve been beautiful skirts, tree trunks and wings. The options are limitless. Building Toys. The toys that have gotten the most use in our home has been, Lego, Lego Duplo, Bionicles and Kapla blocks. These go into our “rotation toys” that we rotate about once a month. Dolls. Depending on what stage your child is at, they may prefer baby dolls or dollhouse figures. American Girl and Barbies are more challenging- simply because of the extreme amount of accessories that is promoted. I have found there is more imaginative play with a baby doll and plain wooden peg dolls. We also have castle set with a few princesses and knights. The castle set is in our toy rotation, so it’s out a couple months out of the year. Kitchen Items. If you have kitchen items, you invite creative play by limiting them. Have a pot and plates, but very little, if any, pretend food. The less you have, the more they pretend. We acquired a nice wooden kitchen, but, to be honest, the kids would pretend with a simple shelf more often, so nothing fancy is needed. 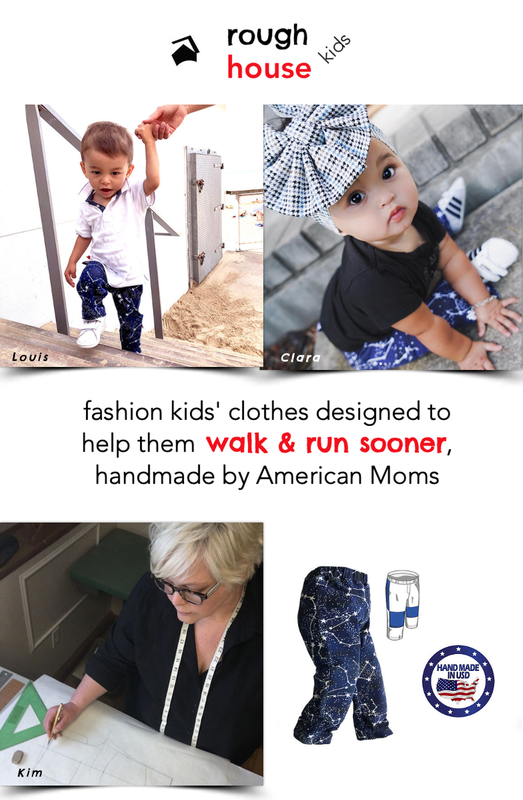 I love these ideas, and wish I had young children again to start over! The toys/gifts we got the most use out of when our girls were young were a sturdy small table and chairs (kid-sized but large and strong enough for an adult to sit with them), wooden oven/stove (bought secondhand), toy food, duplo, wooden puzzles and crayons (and yes, playdoh!). When they were older we liked toys that involved some kind of construction, and family or 2-person board games. One thing I regret is not getting out in the yard more than we did, sandpits are brilliant when possible. I’m always amazed at parents giving 2 year-old girls Barbie dolls. Barbie clothes are hard enough for adults to put on, how could a child do it? And why would you want your 2yo pretending to be a teenager already?? What you say about character dolls is so true. My comment has nothing to do with this post, rather it is a big, overdue thanks to you. I’ve never had clutter nor disorganized house, but still my heart felt a prompting a few years back to purge my possessions. 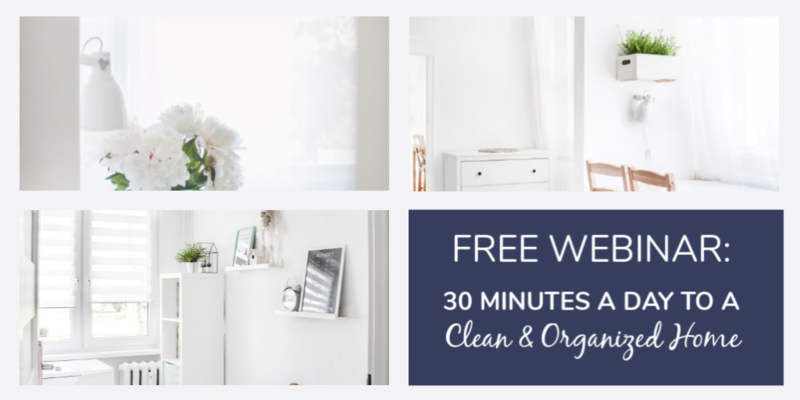 I “happened” upon you site about the same time and your post sang to my heart – freeing up my house from stuff is a faith act. I now have more time to serve and $ has been raised/or items given to charities from the purge. Lastly, your post turned me onto David Platt – the veil has been lifted from my eyes and now I see & do differently.